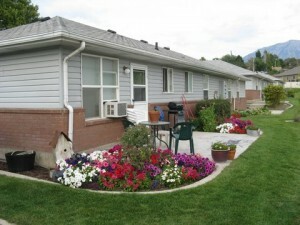 The Housing Authority owns more than 140 rental units throughout Utah County. We have duplexes and 4-plexes in Lindon, Orem, Springville, Spanish Fork and Spring Lake. These 2, 3, 4 and 5-bedroom units are available for eligible families. We also have several disability accessible units throughout the County. The Housing Authority has a zero tolerance for drug and violent criminal activity on all Housing Authority-owned properties. We conduct a complete background check for all adults prior to admission to the program, and evict any resident involved in this activity. Applications are available on this website at the Housing Authority of Utah County, 240 East Center Street, Provo, UT 84606. You must complete the application and attach all required information. Make sure to fill in every blank and sign and date every form. If you need rental subsidy to pay the contract rent, you must also have a Section 8 Voucher prior to being approved. We have separate waiting lists for each different program and family size (see below). Waiting time depends on availability of unit, date of application, assistance available, family size and any selection preferences in effect. need in our community. When a unit becomes available we will contact you. As part of the screening process, a Housing Authority representative will visit your home. Moving into a Housing Authority owned property requires a security deposit and entering into a lease. Contact Amber at 801-373-8333, ext 107 for more information.